You all know I’m a bread fanatic. You see lots of piping hot loaves coming from my oven, and it all seems to work all of the time. Let me assure you, it doesn’t! I go through batches that with giant air bubbles (my recent white bread) or some other effect I wasn’t expecting. 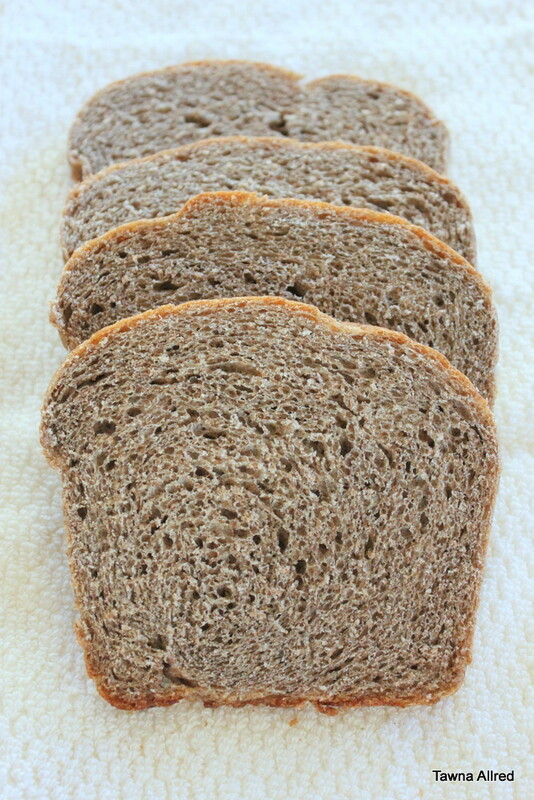 I’ve always fought with bread made with fresh-ground wheat flour from red wheat berries. That’s why I usually opt for white wheat. However, I still have some bags of red wheat that are taking up shelf space. I thought it high time I worked out the problems. Small, heavy loaves and a crumbly texture are my two biggest problems. Awhile back I used a recipe with soy lecithin, gluten flour, and lemon juice. It made the bread soft, but my loaves were never the size I wanted. Besides, soy lecithin is a preservative, and I want to cut it out. Load more dough into each pan. It simply doesn’t raise like white bread, so load a roll of dough almost the size of the pan. Add lemon juice. It makes a better loaf. Make sure the dough is super sticky. If it is dense or heavy as a dough, it will be 10x worse when it’s cooked. Mix in another type of flour (I used buckwheat) or even a cup of cornmeal. That’s it! If you try it out, let me know if these tips helped! Stir together and let rest until yeast becomes frothy. Beat on speed 3 for 10 minutes. Add flour slowly so that you can test the dough. If it becomes too stiff, add a little warm water and beat until well incorporated. Pour dough into a large, greased bowl. Cover and let raise for 1 hour. Shape into desired amount of loaves. Cook on 350 degrees for 30 minutes.